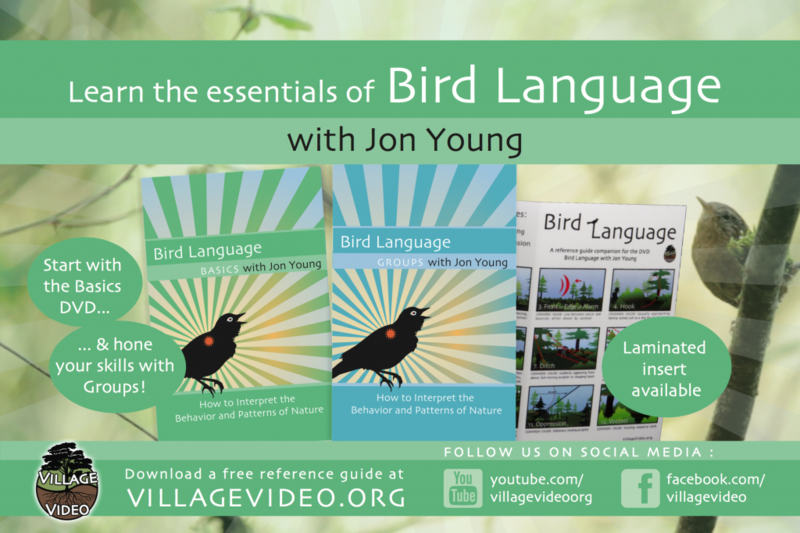 Bird Language Basics: Through animations, nature footage and Jon Young’s compelling narration, you will learn the basic tools necessary to begin deciphering the language hidden in the vocalizations and behaviors of common song birds. we will examine the 5 Voices of the Birds, the12 Shapes of Alarm, and the 5 “Best” Bird Language Birds. You will never look at a song bird the same way again. With over 28 years teaching Bird Language, Jon Young has distilled the process down to a fun and efficient Bird Language Group learning model. Follow 5 experts in Bird Language Groups, as they conduct their own bird sit, mapping session and debrief and explain the conduct, conventions and systems necessary to run a Bird Language group in your neighborhood. This handy reference guide overs the 12 shapes of alarm and the 5 voices of the birds on one side and mapping conventions on the other. Available as a free download or a waterproof laminated pocket reference. Bird Language becomes a dynamic indicator of predator-prey relationships to the aware observer. 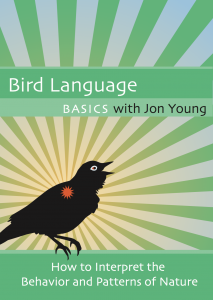 Join Jon Young in this two-disc journey examining the language of birds and bringing you to a more intimate relationship with the world unfolding outside your door.